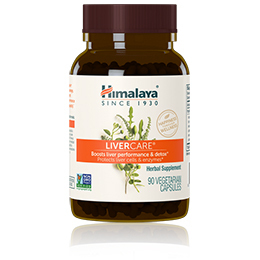 Effective and frequently used supplement to increase glutathione levels that are often depleted by a compromised liver. What is Glutathione? Powerful antioxidant and free radical scavenger. Neutralizes environmental toxins and pollutants including heavy metals that accumulate in the liver and kidneys. Protects and supports a healthy respiratory and immune system. This product has helped to bring my liver enzymes down. Supplementing with N-Acetyl L-Cysteine (NAC) provides the body, the liver and all cells with increased glutathione and the antioxidant protection they need to better perform their functions. NAC is an amino acid that, when taken orally, is well absorbed and utilized by the body. Glutathione, when taken orally, is not well absorbed by the body and only trace amounts ever reach the bloodstream and the cells that need it most. Taking glutathione intravenously would be best, but this is impractical. The practical solution is to take a precursor to glutathione - a component the body needs to make glutathione on its own. N-Acetyl L-Cysteine is the most frequently taken precursor to glutathione. 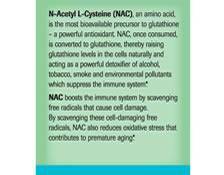 Once orally taken, NAC is absorbed into the bloodstream and is naturally converted to glutathione. NAC supports the body in five primary ways. 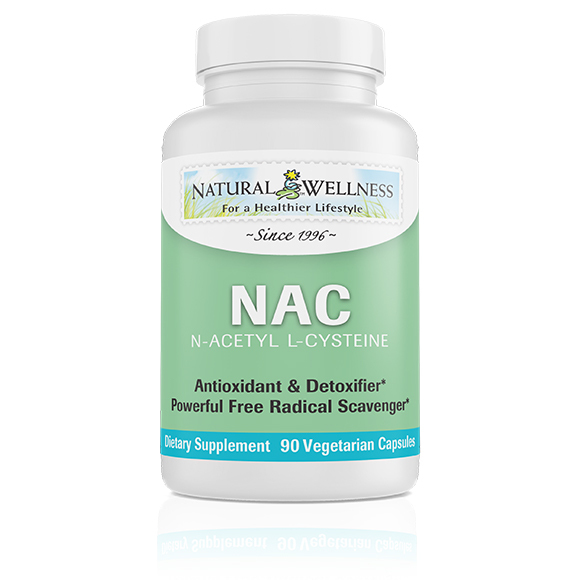 NAC is a powerful antioxidant and free radical scavenger. A free radical is an unstable molecule in a cell that does not have a paired electron. In order to stabilize itself, it attacks neighboring molecules to “snare” one of their electrons, which in turn then makes that molecule a free radical. This process sets off a chain reaction that wreaks havoc on cells damaging cell structures and DNA. This is devastating to our cells and the entire body. 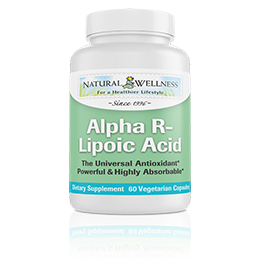 Free radicals are constantly forming everywhere in the body at an astonishing rate. As a powerful antioxidant and free radical scavenger, N-Acetyl L-Cysteine (NAC) provides potent nutritional support to every cell in the body. Many research scientists now believe that free radicals are causal factors in nearly every known disease, from heart disease to arthritis, from cataracts to cancer and are a major culprit in the aging process itself. 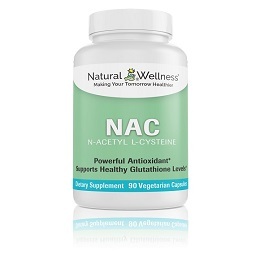 NAC is a safe and frequently used supplement to increase glutathione production in the body. Glutathione is the body's principal antioxidant that neutralizes free radicals and detoxifies harmful substances. Since glutathione is an antioxidant that exists in every cell of the body, it is in a prime position to neutralize free radicals. While glutathione is naturally manufactured by your body, many people have decreased levels of glutathione, which can negatively affect one’s health. By incorporating N-Acetyl L-Cysteine (NAC) into your daily healthcare regimen, you are providing your system with a safe and frequently used method to increase glutathione levels within your body. Some glutathione is obtained directly from our diet, approximately 150 milligrams per day, primarily from fruits and vegetables. The majority of glutathione needed, however, is manufactured within the cells of the body. Much of this process occurs in the liver with approximately 80% of the glutathione produced in the liver being exported to the plasma and largely used by the kidneys for detoxification. As we age glutathione production decreases naturally. This decrease leaves our body more susceptible to the dangers of free radicals, the aging process, decreased immune response and multiple diseases. Additionally, people with liver concerns are even more susceptible to these issues since their liver is not performing optimally and will therefore produce even less glutathione. This decreased glutathione level makes the liver more susceptible to further toxicity. Glutathione enables lymphocytes to function properly. Lymphocytes are small white blood cells that are responsible for immune system responses to fight infection and foreign antibodies. By increasing glutathione production you can assist your body in improving and maintaining a healthy immune system. Glutathione helps us reach peak mental and physical function. Raised glutathione levels decrease muscle damage, reduce recovery time, increase strength and endurance and shift metabolism from fat production to muscle development. Low levels of glutathione lead to inflammation and oxidative stress which results in damage to cell membranes, cellular proteins and DNA. These issues have been linked to many chronic and age related diseases. 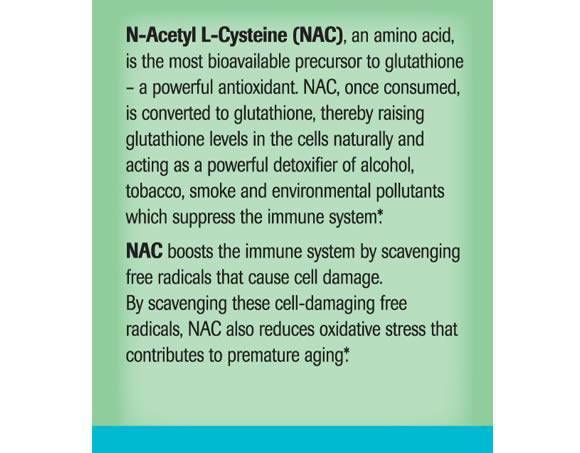 NAC neutralizes environmental toxins and pollutants including heavy metals that accumulate in the liver and kidneys. NAC thins mucus. By doing so, mucus, and particles and bacteria trapped within are more easily expelled from the lungs, thereby supporting and protecting upper respiratory tract and immune system health. NAC delays muscle fatigue and accelerates muscle growth. Exercise is an integral component for maintaining overall health and especially important for those with liver or other serious health issues. NAC has been shown to dramatically reduce and delay muscle fatigue during exercise. Taking NAC prior to exercising improves performance and endurance. NAC has been shown to accelerate muscle growth. This is one reason why it's popular with bodybuilders, rugby players, professional athletes and sprinters seeking to gain lean muscle size and weight. NAC has been shown to slow and sometimes prevent the muscle loss that normally occurs as part of the aging process. 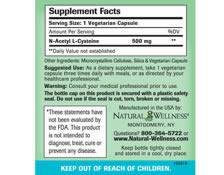 NAC is an important daily supplement for all who wish to optimize their overall health. 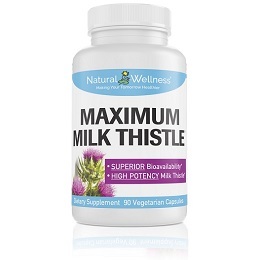 I love this product with the Maximum Milk Thistle. This absolutely works for allergies.. I had no symptoms when using NAC, which was fantastic! No complaints except that I ordered these for my daughter who cannot swallow pills, so the capsules must be opened and these capsules are difficult to get apart. Yes, NAC does have a somewhat unpleasant odor, similar to sulphur. However this is completely normal and there is nothing wrong with the product. We've noticed with a bottle in the office that if you simply leave the lid off the bottle for a few days the smell will dissipate. [My husband's] immune system is great as he does not catch the bugs around even though most of his staff is. 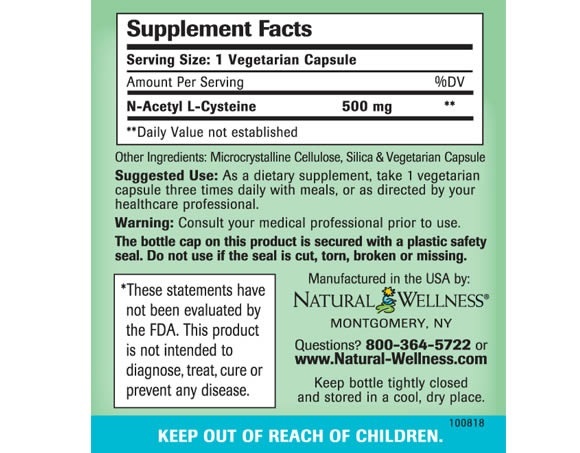 Each bottle of NAC contains 90 capsules. It is recommended that one capsule be taken three times per day, or as recommended by a healthcare provider. Can be taken with or without food. There are no known contraindications. Those with diabetes should consult with their healthcare provider regarding interference with insulin efficacy. Consult your medical professional prior to use if you have, or suspect you have, any medical condition, are currently taking prescription drugs, or are pregnant or breastfeeding. Be sure your doctor or pharmacist is aware of all the prescription and non-prescription medication you take before you begin to use this or any other supplement. NAC (N-Acetyl L-Cysteine) is MANUFACTURED in the USA to meet FDA strict current Good Manufacturing Practice regulations (cGMP).